Dave from Andover Colorado sent in their finished project featuring several Mid-America Cathedral open louver shutters. He used the shutters to accompany the front of his home. Ordering in the bordereaux color, the shutters beautifully accented the red toned front door and the flowers in the planters. 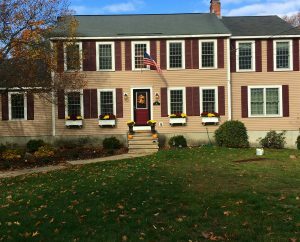 Finally, Dave let us know that he thinks his newly installed shutters “look great” and is pleased with the final outcome. Mid-America is one of the largest vinyl shutter manufacturer in the nation with high quality products. Perfect for any type of project, these shutters are long lasting due to their vinyl material. 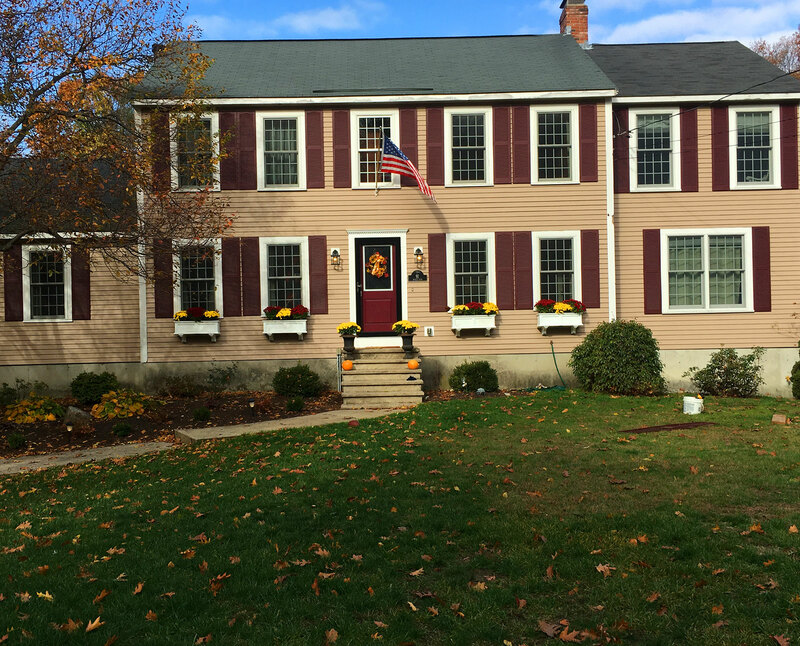 Vinyl shutters will not crack or fade after years of being on installed on the exterior of the home. Not only are they long lasting, but also they are affordable while also being an easy way to add value to one’s home. If a customer has a specific size in mind, there are custom sizes are available for customers to request! Finally, the Mid-America shutters create the perfect elegant look to one’s home without the hassle of other home improvement projects. If you are looking for shutters for your home, please feel free to check out the full selection of shutters via the link below!